While everybody loves a DIY fix, you would probably think twice before tinkering with your Lincoln, Mercedes or Porshe, especially if you are not an expert mechanic with training on your particular car. They are high-end, expensive, elite vehicles. Sub-Zero products are in that same category. The Sub-Zero 550 may be 20 years old but that doesn’t mean it shouldn’t be treated with respect. While you may be tempted to “repair” what you think is wrong with your Sub-Zero 550, in the long run, you are much better off getting in a Sub-Zero repair expert, like our guys at C&W Appliance Service, to look things over for you. That’s because there’s more than meets the eye to Sub-Zero products as they are highly technical and complex pieces of equipment. 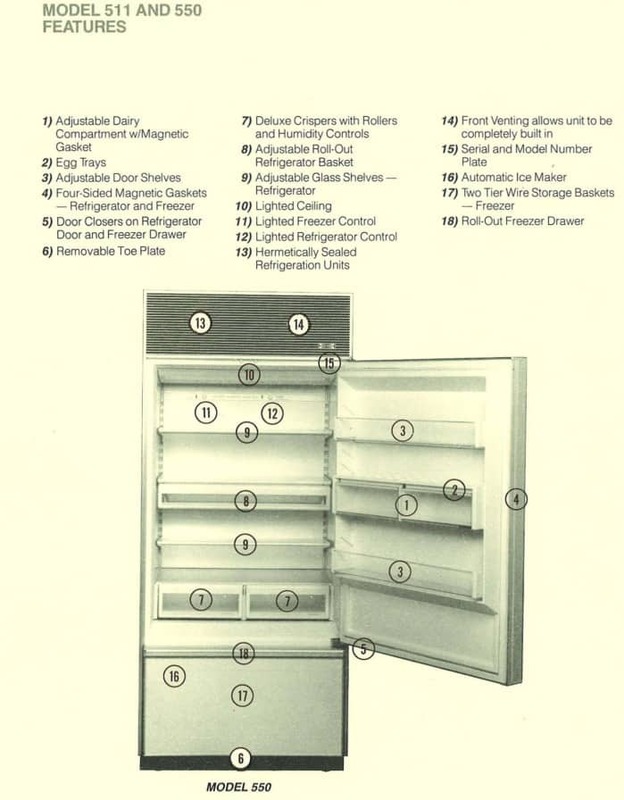 The Sub-Zero 550 refrigerator/freezer model, despite its age, is still in use and very popular. It is also entirely mechanical. Electronic components didn’t start coming into Sub-Zero refrigerator line until the 600 series and later. If the temperature problem is with the refrigerator, the problem could be as simple as a dirty condenser coil or as complicated as you don’t have enough refrigerant. The most obvious sign of this is that the unit runs, but at a temperature. that isn’t cooling what’s in the refrigerator. Typically, a defrost system is necessary to control excessive frost on the cooling coils and comes from factors like the amount of moisture in the air and how often you open and close the refrigerator door. Sub-Zero units, 600 series and newer use computer technology that tailors the refrigerator’s operation to your individual needs. For example, the Sub-Zero 650 calculates how often to go into defrost mode based on the specifics of your particular environment and use patterns. So trying to take a malfunctioning Sub-Zero unit apart is not a good idea. You are more likely to accidentally damage other delicate parts than fix anything. Then the matter becomes costly indeed. You might also be tempted to defrost an excessively iced machine using a hairdryer. But if you do, you will only remove ice from the front and not the back of the panel. It doesn’t fix the problem. If you think adding refrigerant is needed to fix a cooling problem, even if correct, it is not wise to do it yourself. For safety reasons, you must have professional expertise (including a license) to handle and dispose of these kinds of chemicals. If your Sub-Zero refrigerator or freezer does not seem to be working as it should, the best thing to do is keep the unit running and call us right away. That way. our C&W Appliance Sub-Zero repair techs can observe your system at work when they arrive and be able to troubleshoot the exact cause of your problem. An important point is that, perhaps unlike some other repair companies, we make sure that any parts that need replacement are Sub-Zero original equipment. After all, we are the Sub-Zero Premier Partner that serves Dallas and Fort Worth as well as other major Texas metropolitan areas including Austin and San Antonio. So when you have a problem with your Sub-Zero 550, C&W Appliance Service are the people to call at (855) 358-1496 or (214) 358-1496.